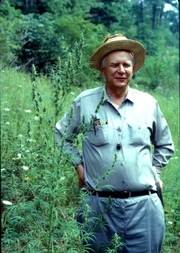 Arthur John Cronquist (1919–1992) was a North American botanist and a specialist on Compositae. He is considered one of the most influential botanists of the 20th century, largely due to his formulation of the Cronquist system. Arthur John Cronquist is currently considered a "single author." If one or more works are by a distinct, homonymous authors, go ahead and split the author. Arthur John Cronquist is composed of 1 name.